You are here: Home / Blog / SEO / Google TrustRank – Does It Matter? Google TrustRank – Does It Matter? When you just starting out link building a new website, you might come across to situations that even though your site is linked from few high PR sites, it does not seem to help to increase the ranking of your site on Search Engine Result Page (SERP). As I mentioned previously that “PR value may not be translated into a true value of a site”, in which a high PR site might have a low TrustRank and thus is worthless in terms of helping your site to rank high on SERP. So what is a TrustRank? A quick Google search will reveal that nobody really knows exactly how TrustRank works (except Google). Some refer it as “Real PageRank” compare to the “Visible PageRank” that you can easily find out using the Google tool bar. Then what is the use of knowing about TrustRank? 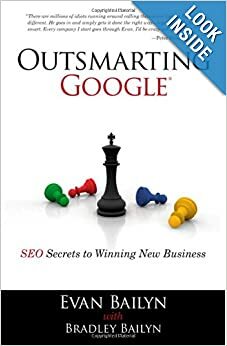 According to Evan Bailyn’s book “Outsmarting Google”, it is possible to distinguish potentially high TrustRank sites from low TrustRank sites. He used one of his website’s home page to illustrate that if you see a site with no spammy links and with a good site design (it’s really about the feel of the site), then it is likely a good site. If you prefer a more quantitative approach, my personal favorite is Majestic SEO’s Site Explorer as it provides a parameter called “Trust Flow” which is a very useful indicator for identifying sites with high TrustRank (because the site itself is linked back by many sites with high TrustRank). The bottom line is Google TrustRank does matter. It is Google’s secret source to battle spams and excessive back linking strategies. If someone who knows more about this Google’s secret source, please feel free to share it in the comment section. https://digitalreadymarketing.com/wp-content/uploads/2013/05/trust_icon.png 295 413 Tony https://digitalreadymarketing.com/wp-content/uploads/2015/11/drm-paypal1.png Tony2013-05-23 20:15:102014-02-25 13:30:51Google TrustRank - Does it matter?